Welcome to the November issue of the St. Kitts and Nevis Beach Buzz. It seems like it was only a few weeks ago that we were all gearing up for the start of what was projected to be a very active 2005 hurricane season (... and active it was). Now, six months later, we are at the end of the hurricane season. Once again, here in St. Kitts and Nevis, we were fortunate to be spared. Please join me in giving thanks to God for bringing us safely through another active hurricane season, and for sparing St. Kitts and Nevis from the devastating storms that passed through our region. Please also remember to say a prayer for our neighbours in Grenada and of course those persons in the Gulf Coast States of the United States who were severely impacted by the hurricanes. 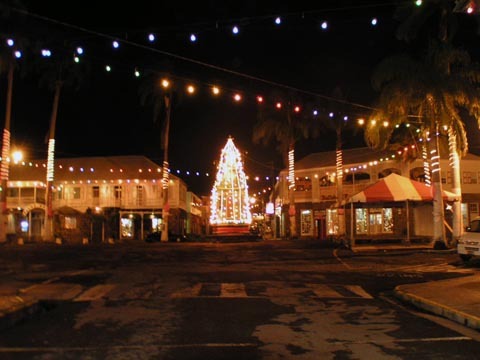 As we move into December, in St. Kitts and Nevis we are preparing for what promises to be yet another festive Christmas and Carnival Season. 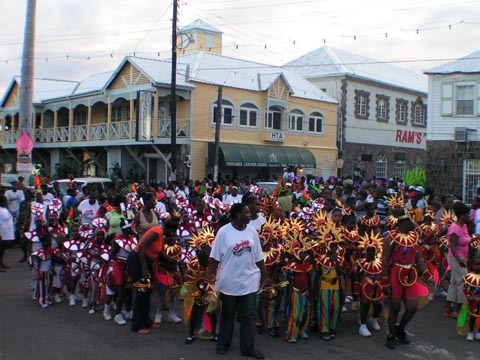 As mentioned in my last newsletter, the annual Carnival Celebrations for St. Kitts were launched during the Tourism week celebrations on Friday November 4. 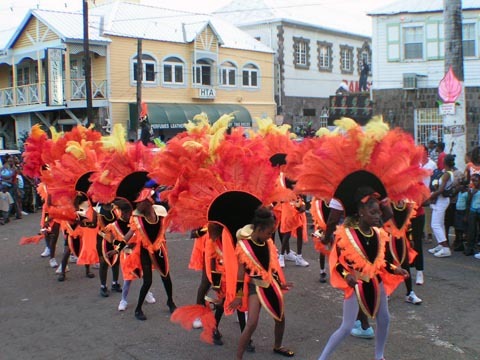 Based on the glimpses of the Carnival Bands costumes modelled at Independence Square, I can hardly wait to see the troupes in all their splendour parading through the streets of Basseterre. 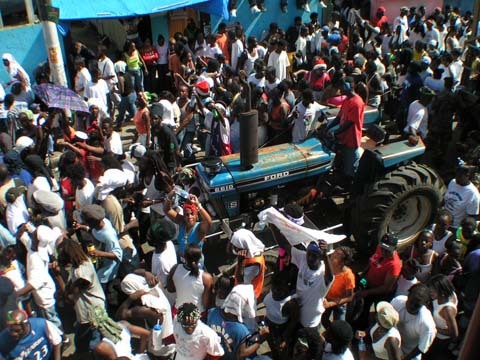 In this month's issue of the St. Kitts and Nevis Beach Buzz, I will take you back to Carnival 2004/2005 by featuring some photos of j'ouvert, the Children's Carnival Parade and the Grand Carnival Parade on New Year's Day. 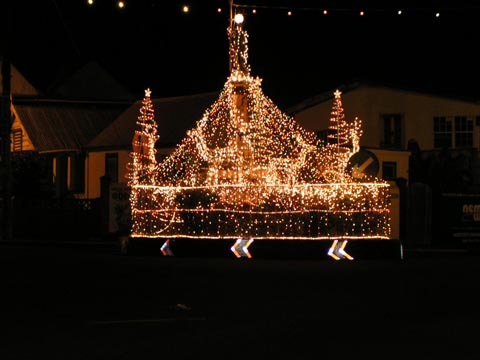 Not forgetting Christmas 2004, I'll share with you a few shots of the lighted displays around Basseterre. The current issue will provide a glimpse of things to come. Just in case you are wondering what I mean by this, I am currently putting together my 2004/2005 Christmas and Carnival Photo Album. Once all goes well, it will be ready in time for the release of the Special Christmas and Carnival Edition of the SKN Beach Buzz. This special edition will be published the week before Christmas, so please watch your mailboxes for its arrival. In the mean time, do grab a Carib, Stag, Skol, CSR and Ting or your favorite Brinley Gold blend and sit back, relax and get ready to ‘Catch de Buzz’... the St. Kitts and Nevis Beach Buzz. I have recently launched a new audio trip reviews service at Discover St Kitts Nevis Beaches. With this new service, persons who visit St. Kitts and Nevis can share their experiences on the island with visitors to the website via audio trip reviews. Yes, instead of having to type your trip reports / reviews, you can choose to record your review instead and have it e-mailed to me for uploading to my website. I have included a page about how you can record your audio trip review here. While there be sure to check out the lower section of the page for the play buttons to listen to Karen G's trip report from her October vacation in St. Kitts. For additional trip reports (though not in audio), please visit the trip reviews main page. 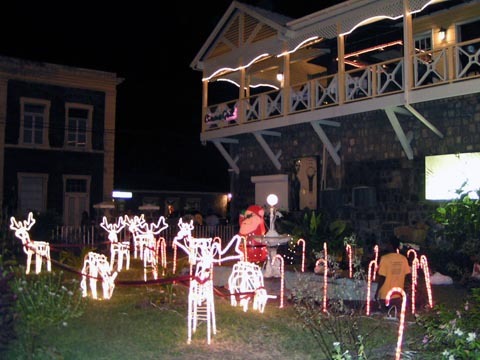 You may also wish to visit the St. Kitts or Nevis trip review boards in the St. Kitts and Nevis Travel forum at Discover St. Kitts Nevis Beaches. And while you are checking out the new pages, be sure to check out the free e-cards page where you can send St. Kitts and Nevis e-cards. Although the e-cards page is not a new page, I just thought I'd remind you of its existence. 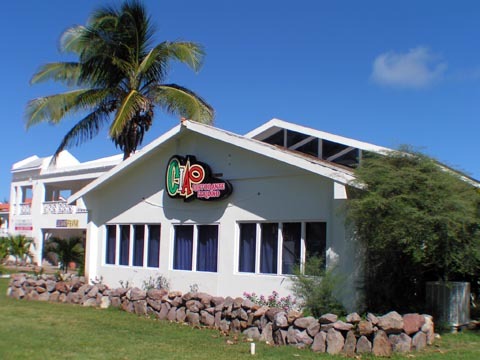 A new Italian Restaraunt recently opened in the St. Christopher Club Complex at Frigate Bay area. The restaurant is located in the space previously occupied by Oasis Sports Bar and Grill. The recent approval by the Government of St. Kitts and Nevis has paved the way for the Digicel Group to acquire Cingular Wireless' operations in St. Kitts and Nevis. Digicel is said to be the the fastest growing mobile telecommunications provider in the Caribbean. According to ads on local radio, Digicel start of operations will be in the next couple of days. Already, Digicel advertisements can be seen displayed prominently on taxi buses and on the company's vehicles around town. Their ads are also airing on the local radio stations. Most persons are eagerly awaiting the start of Digicel's operations locally to see what impact this new competitor will have on prices and the quality of service in the marketplace. As part of the transition and integration process, existing Cingular customers will keep the current Cingular benefits plus enjoy the advantages this new service provider will bring to market. The Calypso Tents are in full swing, and according to reports in the press, thus far they have been sell out events. To date the Legends Calypso Tent organised by Sylvester "King Socrates" Hodge and the Proud Sounds Calypso Tent organised by Grand Masters Band Leader Wingrove Hicks have held a number of successful tents at such locations as Oasis Sports Bar, Bobsy's Restaurant and Bar, Sprat Net, The House and at the Courtyard over in Nevis. Calypsonians singing with the various tents will compete against each other in an effort to advance to the Cable & Wireless Calypso Semi-Finals scheduled for 8 p.m. on December 20 at Carnival City. The top contenders from the semi-finals will go forward to the Cable & Wireless Calypso Monarch Finals scheduled for 8 p.m. on December 30 at Carnival City. The Marketing Unit of the Department of Agriculture (DOA) recently launched the Kittitian Pride brand for local produce. The initiative is part of the DOA's continuing efforts to encourage citizens and residents to buy local produce. To date products bearing the Kittitian Pride brand include locally grown pawpaw and local pork (marketed as Kittitian Pride Juicy Pork). Local supermarkets carrying the Kittitian Pride products include Cemaco and C&C Superfoods (for the pork) and Valu Mart (for the pawpaw). 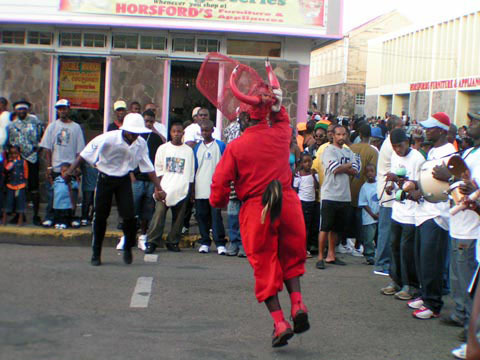 With Christmas and Carnival in the air, St. Kitts and Nevis will be buzzing with lots of parties and other events. I've included the Carnival Programme below to keep you abreast of where the Carnival action will be. 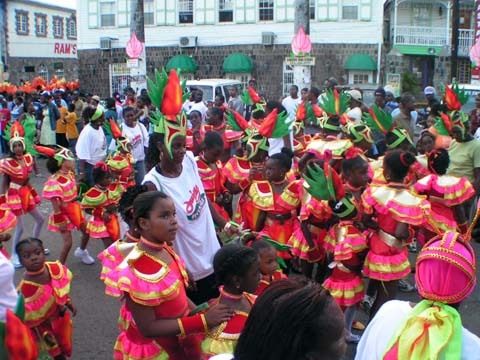 Children enjoying themselves in their very own 2004 - 2005 Children's Carnival Parade. Another colourful section of the Children's Carnival Parade. 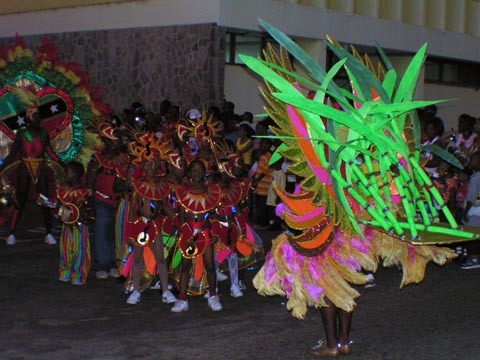 Children of all ages and sizes parade for Carnival 2004 - 2005. Mansion Bull in Action. 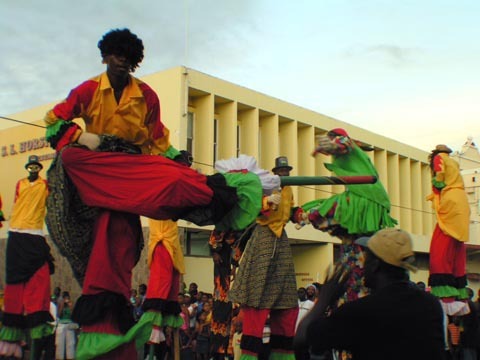 Mockjumbie (stilt dancer) crosses his leg (stilt) while posing for the camera. 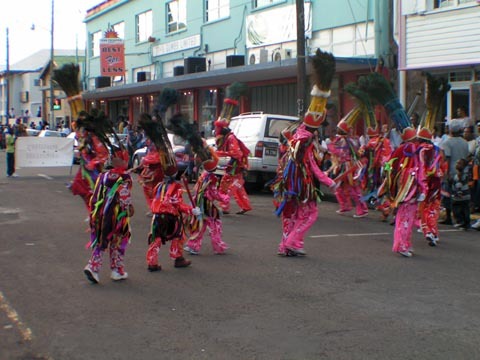 Masquerades doing their thing. 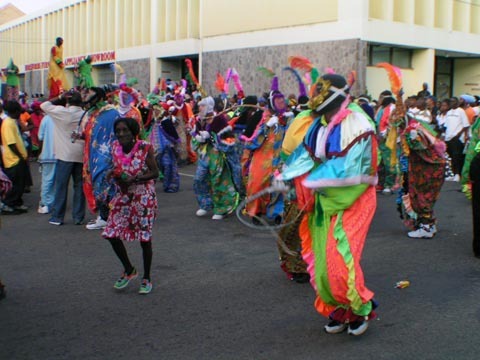 Check out the young masquerades. 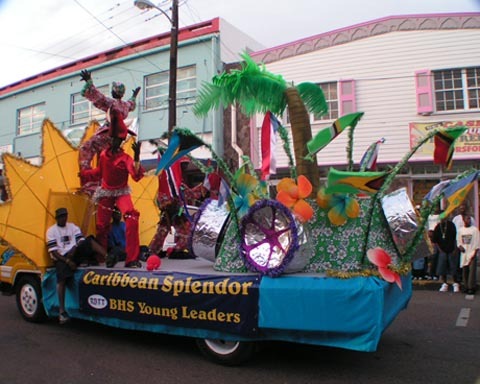 The Bassetere High School (BHS) Young Leaders Float Section of the Grand Carnival Parade on New Year's Day. Clown troupe and Japanese Girl "Coolie" dancing to the clown music. Coolie has been dancing with the clowns for as long as I can remember. Section of the J'ouvert morning jam. The cruise ship Constellation was in Port for J'ouvert. 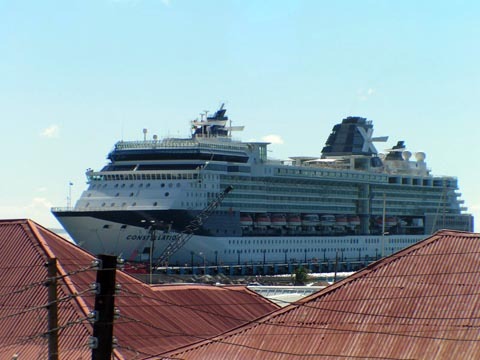 Lot's of cruise passengers were in town taking in the jouvert lime. 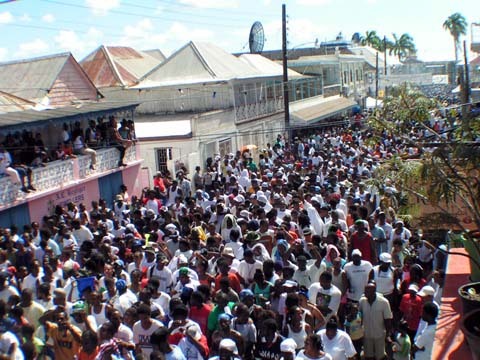 The j'ouvert crowd coming up Fort Street. Pretoria Gardens opposite Royal Bank of Canada decorated and lighted up for the season with Santa and his reindeer. The decorations and lighting were provided by UTS-Cariglobe, a mobile phone company. The Berkley Memorial and the Circus environs all lighted up to provide the in the Spirit of Christmas feeling. I took this photo late one night on my way home from a party. The Roundabout at Bakers Corner all lighted up. "HOW GREAT!!!! This is wonderful.....I want to subscribe." 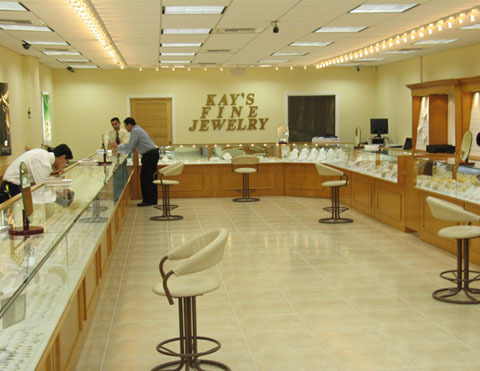 "I am doing some research on a trip to St. Kitts and found your website very informative." "May I first compliment you on your website. It really looks good and has a lot of information." Liz Pereira, the helpful travel consultant and St. Kitts Specialist who also assists me in moderating the St. Kitts and Nevis Travel Forum at Discover St. Kitts and Nevis Beaches.com, e-mailed me to remind me that space is still available on the Toronto/SKB charter departing December 22-29. Additionally, prices have been reduced for the January 12-26 departures on the non-stop charter from Toronto to St. Kitts. If you live in Canada and would like to fly on down to St. Kitts and Nevis, please contact Liz now and let her know. These special fares go quickly so make sure you reserve yours now.